Posted April 12th, 2019 by basementmovies & filed under Watch. 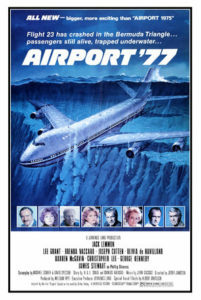 The old leather couch will face some serious turbulence as we soar off into terror with the third installment in the “Airport” franchise. In Seen It, we spend some time with our favorite neighbor, a troubled priest, and we take another crack at a recently discussed movie.